All 15 of Breckenridge Associates Real Estate brokers/partners are certified REALTORS®. They play a critical role in providing full, comprehensive services when selling your home and representing you as a seller. This process is typically a long one, but Breckenridge Associates Real Estate REALTORS® are here to guide you through each of the steps: pre-listing, listing appointment, listing agreement, entering property in the MLS database, marketing the listing, offer and contract, tracking the loan process, home inspection, appraisal, closing, follow-up after closing. We suggest you take some time to familiarize yourself a bit with the ins and outs of the home-selling process and contact any of us with your questions or if you'd like some help selling your home from one of our REALTORS®. You can also read more about the REALTOR® designation below. Prepare detailed list of property's "Inclusions and Conveyances with Sale"
Coordinate showings with owners, tenants and other REALTORS®. Change status in MLS to "Sale Pending"
Change MLS status to sold – enter sale date, price, selling broker and agent's ID numbers, etc. Before selecting a broker to represent you as a seller, you should know not every real estate agent or broker is a REALTOR®. This term and the familiar Block “R” logo are trademarked by the National Association of REALTORS® and can only be used by those are REALTOR® members through their local association of REALTORS®. All REALTORS® are state-issued licensees as agents or brokers, but the major difference between a “real estate licensee” and a REALTOR® is that REALTORS® have taken an oath to subscribe to a stringent, enforceable Code of Ethics with Standards of Practice that promote the fair, ethical and honest treatment of all parties in a transaction. Non-member licensees have taken no such oath and are not morally bound to the ethical practices and principles set for in the REALTOR® Code. For that extra measure of peace of mind, ensure the individual seeking to represent you is both a real estate licensee and a REALTOR®. 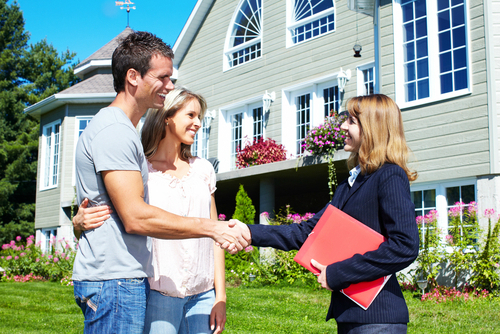 Contact the experts at Breckenridge Associates for some more advice on selling your property!